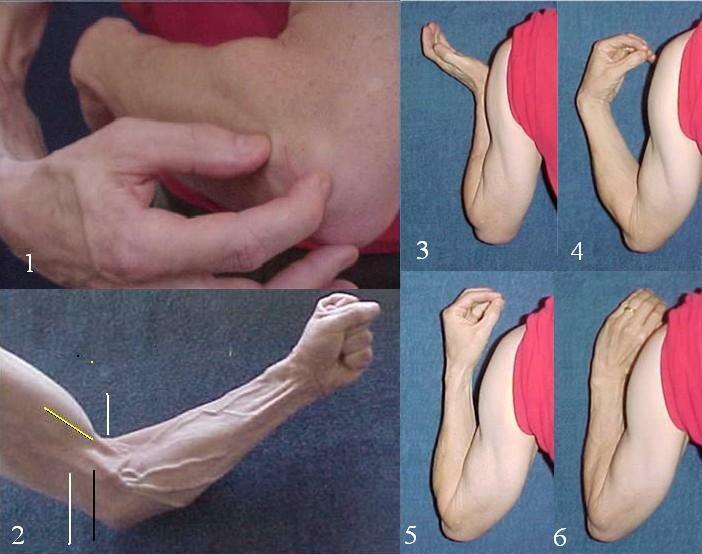 Fig.1: Investigation of the elbow: The thumb is placed onto the caput radii, the index onto the lateral epicondylus of the humerus and the middle finger onto the olecranon. !!! Fig. 2: The white lines point to veins, the yellow line to the tendon of the biceps, the black line to a underlying septum of connective tissue mimicking a vein. Figures 3 to 6: Different degrees of rotation of the radius around the ulna, back view.